When you're looking for a dependable Volkswagen model at an affordable price, consider the pre-owned Volkswagen inventory at Volkswagen State College. Our State College, Pennsylvania Volkswagen dealership carries a wide selection of used Volkswagen models to choose the vehicle that best fits your lifestyle and budget. Designed with German engineering, icons like the Volkswagen Beetle and Volkswagen Jetta offer drivers unique ways to spend their morning commutes without sacrificing comfort or reliability. For something with a little more leg room, test out the Volkswagen Atlas SUV, designed with extra seating, reliability on the road less traveled, and modern design lines that allow adventures to be shared by all. Discover which Volkswagen vehicle is right for you by taking a test drive with one of our auto sales team members today! 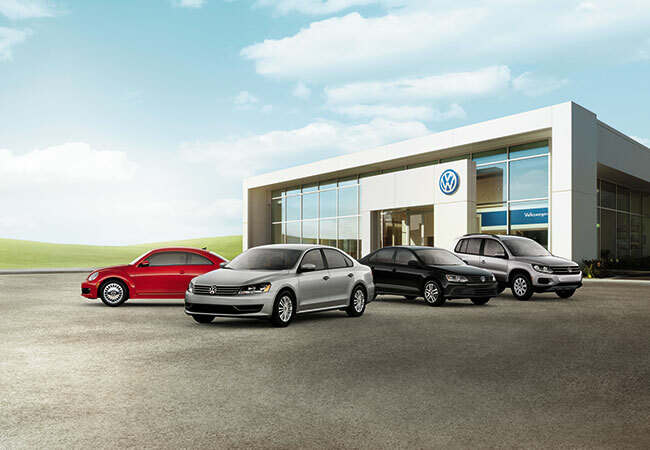 Find a used Volkswagen model at your local State College, PA Volkswagen dealership. Not only does Volkswagen State College offer drivers with high-quality pre-owned Volkswagen models, we also provide dependable auto repair and maintenance. Visit our State College, PA auto service department when it's time for your Volkswagen vehicle's next auto maintenance appointment, including oil changes and brake repair. Need extensive engine repair completed on your Volkswagen Jetta? Let our experienced auto mechanics help! Schedule your next auto service appointment today by utilizing our online schedule tool now. After you have found the Volkswagen model that fits your lifestyle, let the experts in our State College, PA auto financing center pair you with the auto financing option that best fits your budget. From offering Volkswagen lease options to flexible auto loans, we have the financing solution to help make you the proud driver of a Volkswagen vehicle. We'll even work with your credit history and help you value your trade-in so you can save even more. Visit State College Volkswagen today to learn more about our auto financing options currently available, including our special programs!